Cleaning of processing equipments is an important step in the manufacturing process, especially when they come in contact with food products. Overall, food manufacturers are obliged in many ways to maintain high hygienic standards for both their equipment and staff. Cleaning helps the food manufacturing company ensure that good products are kept well and safe for consumption. This minimizes the risk of contamination, which can result in very bad publicity. Companies are also morally obliged to ensure that clean conditions and well-trained staff are put in place to ensure that production processes are properly handled. Lastly, the law protects the health and quality of manufactured food products. Failure to meet legal guidelines can result in severe penalties, which is why it is important to meet the stated requirements accordingly. In order to design an efficient Cleaning-In-Place (CIP), knowledge of how mechanical, thermal and chemical processes work on different types of soiling is required. It will also depend on knowing how acids and detergents affect different types of soiling and how their interaction can be optimized. In the parallel passages of plate or tubular heat exchangers, different amounts of deposits are formed on different surfaces. This mainly consists of protein, fat (oil) and minerals at higher temperatures. Overall, coconut soil deposit formation is affected by the nature of the product; quality of the raw materials used to form primary and intermediate products; actual product temperature; temperature difference; flow rate of the product (laminar or turbulent); characteristics of the heat exchange surface (corroded or dirty) and foam in the product. Soils can initially be divided into two basic types: those that are water-soluble and insoluble in water. Water-soluble soils such as sugars and some minerals are easily removed and are rarely associated with cleaning problems. The water-insoluble soils are harder to remove. Organic soils include fats, oils, grease, protein, starch and other carbohydrates. If these components were heated during processing, the heat may have induced reactions in the soil matrix. This makes them harder to remove. For example, proteins may, denature and induce further cross-linking reactions with other protein molecules. They may also react with carbohydrates and cause Maillard reactions (caramelization) to take place. Organic soil is most often dissolved by alkaline detergents. Alkaline detergents remove organic soil, such as protein and fats. Inorganic soils include mineral and salt deposits. The most common inorganic soil is limescale, formed due to high water hardness. Inorganic soils are most often dissolved by acid. Acid detergents remove inorganic soil, such as mineral deposits. Fouling, in relation to concentrations of proteins, fats (oil) and minerals, can be classified as physical precipitation or chemical fouling. Total amount of fouling and distribution between both types are temperature-dependent. In general, the amount of fouling increases with temperature. The proportion of chemical fouling caused by denaturation of protein also increases with temperature. At low temperatures between 50-54.5°C, flow rate becomes a determining factor for fouling. As flow rate decreases, there is a thicker laminar layer indicated by a decrease in the Reynolds number. This in turn promotes sedimentation, and physical fouling increases. Physical precipitation can be due to fats (oil) accumulation. In coconut liquid products, particularly coconut milk, the protein acts as an emulsifier for fat (oil) molecules in aqueous media. However, coconut milk’s naturally low amount of protein content in proportion to its oil content might not be enough to emulsify all the oil globules. As a result, the emulsion is destabilized, and flocculation and coalescence occur. In other words, fat (oil) globules aggregate. At high temperatures between 60-74.5°C or at 90°C, chemical fouling is formed. It consists of denatured protein deposits. This is due to protein denaturation as coconut protein denatures at about 80°C. With less fat percentage in this deposit, there is also less effect on flow rates. Cleaning cooking vessels at home is performed by hand. In the food industry this is called “cleaning out of place”, or COP. All equipment is dismantled and cleaned manually. For manual cleaning, industrial brushes and gloves must be available (see Figure 15.1). Only mild chemicals with pH values between 4 and 9 are used. It is difficult to achieve consistent results because staff is involved. Motivation, training, close supervision and education are required to ensure consistency and efficiency. CIP is important in guaranteeing food safety in food processing plants. Successful cleaning between production runs avoids potential contamination and products that do not meet quality standards. Carrying out CIP correctly, from design to validation, ensures secure barriers between food flows and cleaning chemical flows. Today COP, cleaning out of place, has been replaced with CIP, cleaning in place, in most parts of the food industry where food is pumped and undergoes continuous processes. Some equipment still needs to be dismantled and manually cleaned, but wherever possible, CIP is the preferred choice. It is also important that CIP is carried out effectively and efficiently, and contributes to an overall low total cost of ownership (TCO). From the point of view of food processing, any cleaning time is downtime – the equipment is not productive. Cleaning must also be carried out safely, because very strong chemicals are involved that can be harmful to people and the equipment. Finally, it should be carried out with the least impact on the environment, by using minimal amounts of water and detergents, and by maximizing the re-use of resources. There are two ways of performing CIP. Either the cleaning detergents are put to drain immediately after they have been used. This is called single-use cleaning and is often used when the object is very dirty, such as a UHT plant. The other alternative is when less dirty objects are cleaned, such as tanks or pipes that have cold surfaces. The cleaning solution is not that dirty after one cleaning cycle and it can be reused. This is usually referred to as recovery CIP. Both methods have advantages and disadvantages. In single-use the cleaning solution is always fresh when cleaning is started and the equipment needed to perform single-use CIP is rather inexpensive. On the other hand, this way of running CIP has a high running cost and a high environmental load, as the cleaning solutions are always drained and disposed. By recovering the cleaning solutions, less cleaning detergent will be consumed, as well as less water and energy. The equipment needed to recover the cleaning solutions is, however, more expensive than the equipment needed for single-use cleaning. Soil is held on the surfaces by adhesive forces. 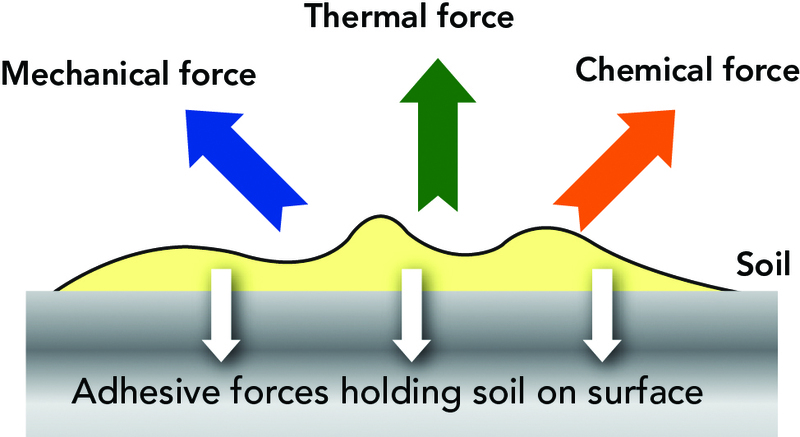 To get the soil to leave a surface the forces that hold the impurity on the surface have to be overcome. There are four parameters that make up cleaning and should be controlled during cleaning: mechanical force, thermal force (heat), chemical force and the time the forces act (Figure 15.2). 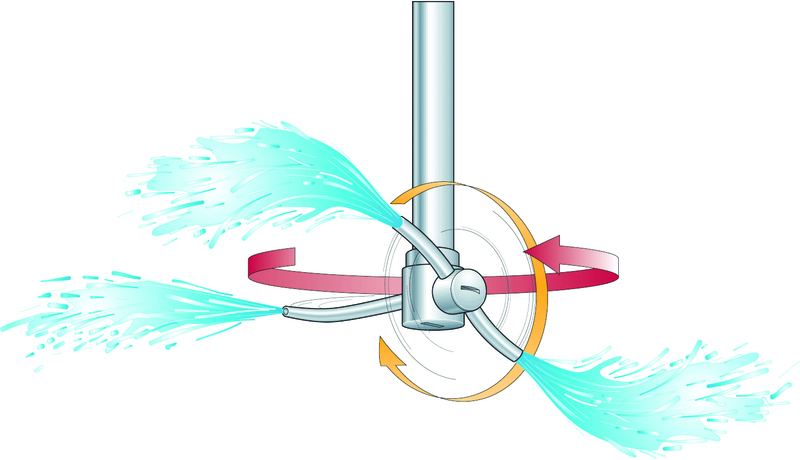 Flow creates the shear forces that in turn, creates the mechanical force in cleaning in place. Compare cleaning a car with and without a nozzle on the water hose. With a nozzle the area through which the water is passing is restricted. This increases the velocity of the water and the water jet gets “harder”. 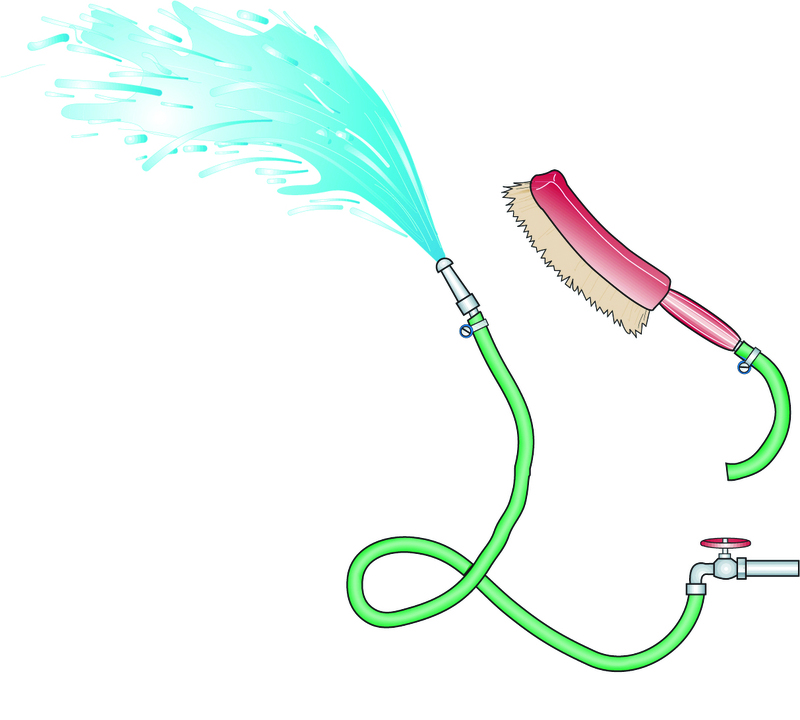 In a plant, the flow of the cleaning liquids can be increased by pumping it faster. The CIP flow has several purposes – transport the CIP liquid to the soiled surface, react with the soil and finally remove the dissolved soil and transfer it out of the equipment being cleaned. Heat exchangers are designed to create a turbulent flow but connecting pipes must also have proper characteristics. Due to flow restrictions, a bypass and a special “cleaning pump” may be necessary to help create the turbulent flow. For cleaning aseptic tanks, the inner tank surface must be completely covered. A spray device (Figure 15.4) is also required every two metres in horizontal tanks, and they must be controlled properly and serviced regularly. As a general rule it is said that the flow must be turbulent and that the flow velocity should be a minimum of 1.5 m/s to have an adequate mechanical force during CIP. Detergents are used to get soil to leave a surface based on chemical force. To clean equipment, chemicals have to be used in combination with the mechanical force, the flow. Most often alkaline detergents are used first. They dissolve most organic soil like protein, fat and sugars. The detergent can be pure sodium hydroxide or it can be a formulated detergent based on NaOH from a detergent company. In formulated detergents different cleaning aiding components are also added, which for instance can take care of hard water, suspend the dissolved dirt better than pure NaOH, wet the surfaces more efficiently and more. After an alkaline cleaning step, an acid step usually takes place. Acid dissolve minerals like inorganic soil. It has some effect on fat, sugar and protein as well. Acids commonly used are nitric acid or phosphoric acid. Detergents can range from pure chemicals such as sodium hydroxide (lye), nitric acid or phosphoric acid to more complex formulated detergents supplied by detergent companies. A third alternative is adding additives to a pure chemical, such as sodium hydroxide, at the food manufacturer. This is a very flexible alternative where you might use only pure chemical for some cleaning objects and create a formulated detergent for others. It is important to follow the dosage recommendations for the detergents and correctly calculate and dilute the concentrates with water. The chemical concentration depends on the kind of soil to be removed. Heated surfaces often require higher concentrations than cold ones. Detergent concentrates have to be diluted with water before they can be used. The final concentration is important, since too low or too high a concentration may result in inadequate cleaning. Concentrations that are too high also waste money and damage the equipment. After preparation of the detergent solutions, it is important to also measure that the correct concentration has been achieved. For example, a conductivity measuring device with a guarding and recording function can be installed for a continuous inline measurement of the concentrations. Temperature is controlled in cleaning . Thermal force, heat is used to move molecules faster at an elevated temperature and therefore increase the effectiveness of a detergent at an increased temperature. As a general rule a plant should be cleaned at the same temperature as it has been processing the food. If a higher cleaning temperature is used than the processing temperature, reactions such as denaturation a and cross linking may be induced by the higher temperature during cleaning making the soil harder to remove. The fourth and last parameter is time. Most surfaces will be cleaned but it will take a longer time if the optimal temperature is not used. Incorrect concentration of detergent and insufficient flow also leads to a longer time spend cleaning. CIP for coconut liquid product processing plants generally follow a default programme and cleaning agents. The engineers in the processing plants can fine tune the programme based on customer’s products. 1. FLUSHING The plant is flushed with water to remove any loose soil (if high fat product, use lukewarm water). 2. PRE-RINSE The plant is pre-rinsed with water at 40-60°C, to remove sugar and melt any fats. The temperature should not exceed 60°C in order to avoid denaturing any native proteins, which then become much more difficult to clean. 3. ALKALINE STAGE Alkaline detergent is circulated in the system to remove organic soil such as proteins and fats. Alkali is added to the concentration set-point and the temperature is raised to the temperature set-point. The flow is kept at a level that gives satisfactory flow velocity. The alkali step lasts for a pre-set time period. 4. FIRST PURGING Water is used to purge out the alkaline detergent and the dissolved soil. 5. ACID STAGE Acidic detergent is circulated through the plant, to dissolve mineral deposits caused by hard water, scaling. The frequency of when an acidic step is applied depends on whether the surfaces are hot or cold, the type of food and the water quality. During the acid step concentration, flow and temperature is kept at its set- point for a pre-set time period. 6. SECOND PURGING AND FINAL RINSE Water is used to purge the acidic detergent and rinse out dissolved soil. The final water rinse must also ensure that any detergent residues are removed and only water is left in the plant. The plant should now be visibly clean. 7. DISINFECTION OR STERILIZATION Disinfection or sterilization is applied before production starts to kill bacteria or other living organisms to a certain level. 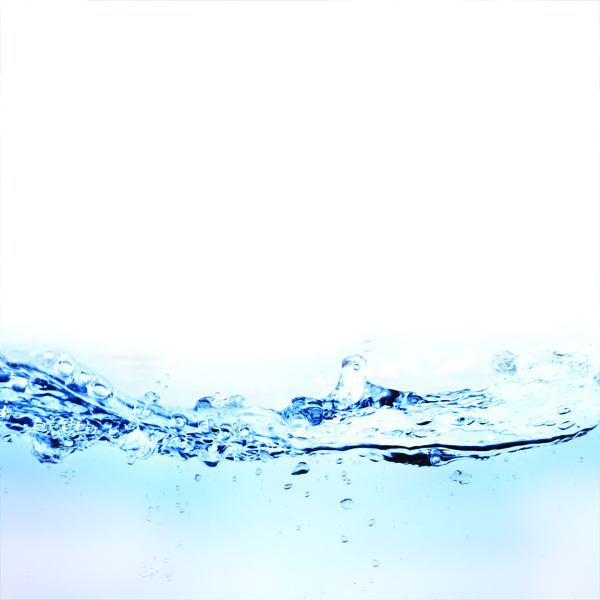 Water hardness is of great importance. This measures the amount of calcium and magnesium in the water (Table 15.1). When hard water is heated, calcium carbonate is precipitated. Carbon dioxide and water is formed as well. If equipment is sterilized with hard water, calcium carbonate will precipitate throughout the plant. Scaling of CaCO3 is, however, easily removed with acid cleaning. Calcium salts may also interfere with detergents and make them less efficient. Water with a hardness above 7°dH needs to be softened to a hardness between 4-7°dH (Table 15.2). Water hardness can be expressed in German degrees (°dH) or mg CaCO3/L (or ppm). If chloride (Cl-) and chlorine (Cl2) levels in water are too high, this will cause corrosion of stainless steel. An entire CIP system consists of a station, distribution lines and the objects to be cleaned. There are in principle two types of CIP system – centralized or decentralized. Centralized CIP systems are most efficient in small plants where there are short distances between the CIP station and the cleaning objects. 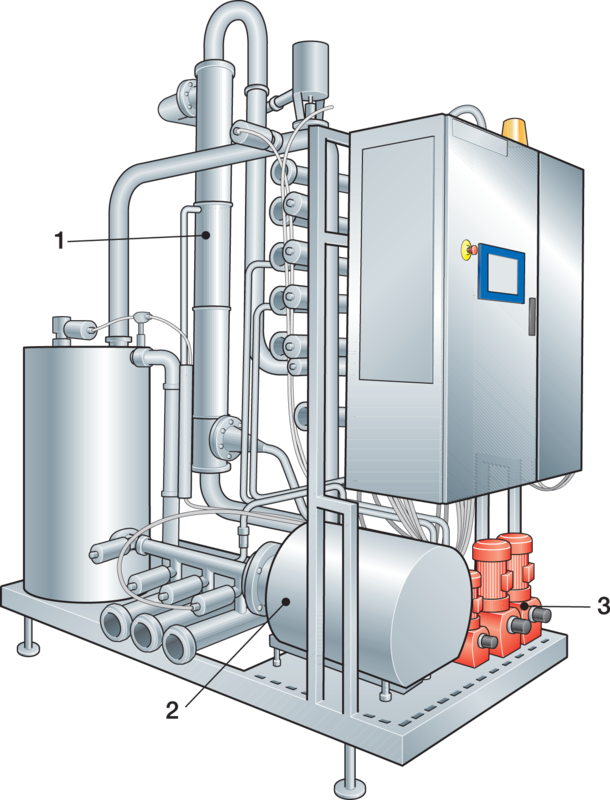 Centralized systems are also common in relatively large plants where all CIP activities are handled from a centralized cleaning room with one or several CIP stations. Cleaning liquids and water are then pumped from the central CIP stations to the various cleaning objects. Decentralized CIP systems are more common in large plants where the distances from a centrally located CIP station to the cleaning objects can be extremely long. Instead of using one central CIP room, the decentralized CIP system utilizes several distributed stations (Figure 15.5), positioned close to the cleaning objects. In a decentralized CIP system, it is still common to handle the detergent concentrates centrally. They are then individually distributed to the CIP stations. In a food plant, there are many cleaning objects that should be grouped into larger clusters based on what types of cleaning they demand. For example, cold and hot surfaces – since several cleaning stations are often needed. Cleaning of equipment handling non- heat-treated food like raw products should be separated from the cleaning of equipment handling heat-treated food. This is to avoid contaminating surfaces on the processed side with potential surviving bacteria and spores from the raw side, by using the same cleaning liquids on both sides. The presence and quantities of organic substances in sewage effluents are analysed using chromatography. The usual way to express the concentration of a pollutant is to specify the total quantity per unit volume of sewage. The quantity of organic substances is determined in the form of biological oxygen demand (BOD). It measures the content of biologically degradable substances in sewage. Microorganisms use oxygen to break down these substances, so oxygen demand is measured by the quantity of the gas consumed by these organisms, over a period of five days (BOD5) or seven days (BOD7), in decomposing organic pollutants in waste water, at a temperature of 20oC. BOD is measured in mg oxygen/l or g oxygen/m3. This relationship is assumed for municipal sewage: BOD7 = 1.15 X BOD5. Both COD/BOD ratios indicate how biologically degradable an effluent is. For example, values less than 2 indicate that the effluent comprises of relatively easily degradable substances. A typical value of COD/BOD for municipal sewage effluent is less than 2. The quantity of organic substances can also be determined by chemical oxygen demand (COD). This measures the quantity of pollutants in water, which can be affected by chemical oxidants. The normal reagents used for measurement are highly acidic solutions (to ensure complete oxidation) of potassium dichromate or potassium permanganate at high temperature. The rate of consumption of the oxidant provides a measure of the organic substance content. It is converted to a corresponding measure of oxygen such as mg oxygen/l or g oxygen/m3. Inorganic components of sewage from coconut plants consist of salts, and are determined by ionic compounds and salt concentration present in water from the mains. These salts are normally unimportant, as modern effluent treatment is concerned with the reduction of nitrogen, phosphorus salts and heavy metals. Nitrogen and phosphorus salts are nutrients for organisms such as algae, which can cause secondary processes and form further organic substances. When these substances decompose, they can cause higher oxygen demand than that of primary organic pollutants. 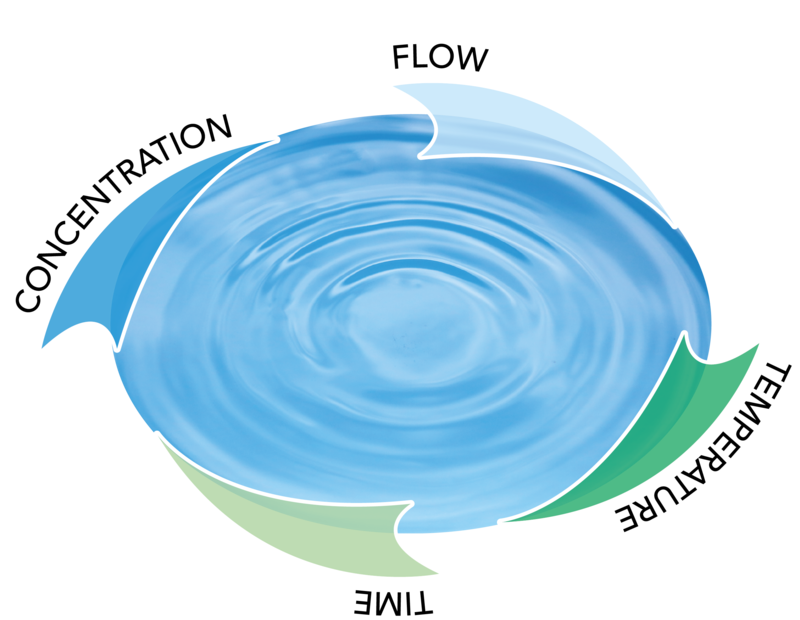 Waste water can be divided into cooling, sanitary waste and industrial waste water. 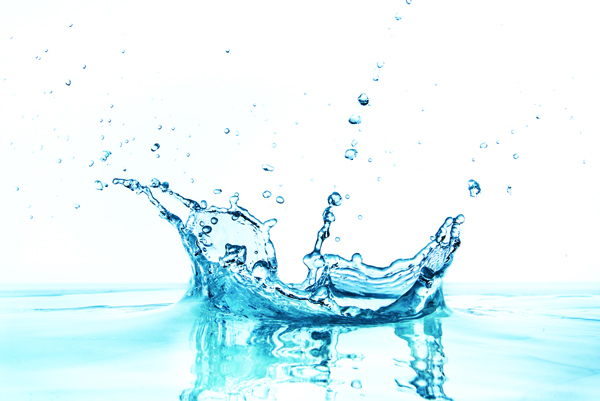 Cooling water is normally free from pollutants as it is usually not mixed with industrial waste water. While sanitary waste water is normally piped direct into the sewage treatment plant, whether it has been mixed with industrial wastewater or not. Lastly, industrial waste water is gathered from product spillage and cleaning processes. The concentration and composition of waste products depend on production, operating methods and plant design. While sewage treatment plants can handle organic substances, fat represents a particularly difficult problem. Besides having a high BOD, it sticks to the walls of the mains and causes sedimentation problems in the sedimentation tank by rising to the surface of the water. To properly treat this wastewater, it should pass through a flotation plant where it is aerated with dispersion water – water with finely-dispersed air bubbles at a pressure of 400-600kPa. The air bubbles stick to the fat and carry it to the surface where it can be skimmed off, either manually or mechanically. The defatted effluent can then be mixed with sanitary wastewater piped to the treatment plant. 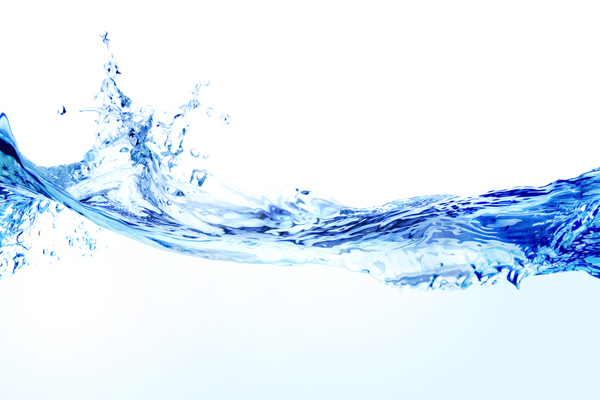 Preventing water wastage and controlling its use is essential in every processing plant. Hidden losses of water in underground or subfloor piping should be detected by reading the water meter and recording the quantity used at the end of the day. Daily records of water consumption should then be compared with the daily quantity of products processed. Water consumption, expressed as m3 per tonne of treated product, should be plotted on a graph, kept in an easily accessible place. The “wastes” from the production of coconut liquid products can be used for different purposes. Here are some examples of how they can be used for other value-added products (Table15.2).